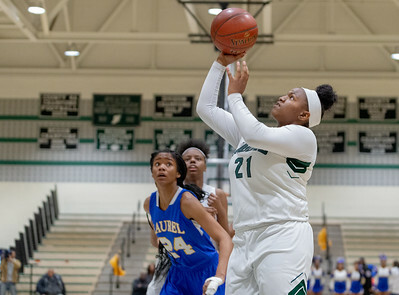 The Charles H. Flowers girls basketball team used a stifling defense and a balanced offensive attack to cruise to a blowout home victory over Laurel High School, 59-7, on March 9. Photos by Michael Smith. Springdale, MD, Saturday, March 9, 2019: C.H. 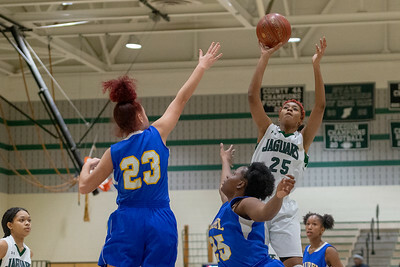 Flowers Jaguars Cori Robinson (21) puts up a shot during a MPSSAA Girl's 4A Regional Final game between Laurel and C.H. Flowers held at C.H. Flowers High School in Springdale, MD. (Michael R. Smith/The Prince George's Sentinel). 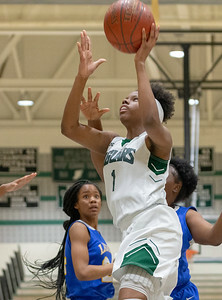 Springdale, MD, Saturday, March 9, 2019: Laurel Spartans Tony Patrick (12) is trapped by C.H. 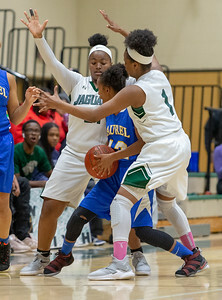 Flowers Jaguars Cori Robinson (21) and Kaniyah Harris (1) during a MPSSAA Girl's 4A Regional Final game between Laurel and C.H. Flowers held at C.H. Flowers High School in Springdale, MD. (Michael R. Smith/The Prince George's Sentinel). Springdale, MD, Saturday, March 9, 2019: C.H. 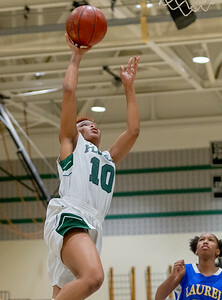 Flowers Jaguars Kaniyah Harris (1) puts up a layup during a MPSSAA Girl's 4A Regional Final game between Laurel and C.H. Flowers held at C.H. Flowers High School in Springdale, MD. (Michael R. Smith/The Prince George's Sentinel). Springdale, MD, Saturday, March 9, 2019: C.H. 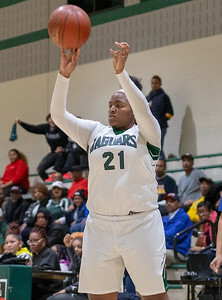 Flowers Jaguars Cori Robinson (21) takes a three-pointer during a MPSSAA Girl's 4A Regional Final game between Laurel and C.H. Flowers held at C.H. Flowers High School in Springdale, MD. (Michael R. Smith/The Prince George's Sentinel). Springdale, MD, Saturday, March 9, 2019: C.H. 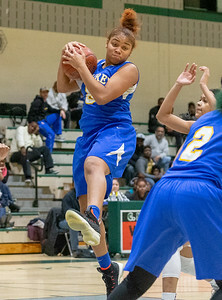 Flowers Jaguars Kaniyah Harris (1) takes a shot during a MPSSAA Girl's 4A Regional Final game between Laurel and C.H. Flowers held at C.H. Flowers High School in Springdale, MD. (Michael R. Smith/The Prince George's Sentinel). Springdale, MD, Saturday, March 9, 2019: C.H. 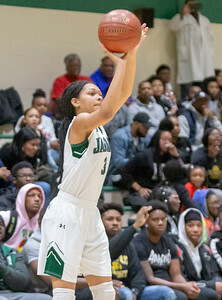 Flowers Jaguars Kaniyah Harris (1) takes a three-pointer during a MPSSAA Girl's 4A Regional Final game between Laurel and C.H. Flowers held at C.H. Flowers High School in Springdale, MD. (Michael R. Smith/The Prince George's Sentinel). Springdale, MD, Saturday, March 9, 2019: C.H. 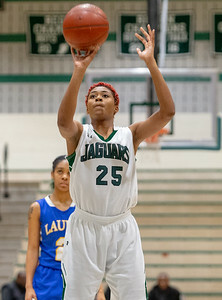 Flowers Jaguars Lashawna Robinson (25) takes a free throw during a MPSSAA Girl's 4A Regional Final game between Laurel and C.H. Flowers held at C.H. Flowers High School in Springdale, MD. (Michael R. Smith/The Prince George's Sentinel). Springdale, MD, Saturday, March 9, 2019: C.H. 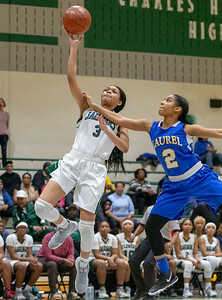 Flowers Jaguars Kaniyah Harris (1) tries to get around Laurel Spartans Malaika Treadwell (5) during a MPSSAA Girl's 4A Regional Final game between Laurel and C.H. Flowers held at C.H. Flowers High School in Springdale, MD. (Michael R. Smith/The Prince George's Sentinel). Springdale, MD, Saturday, March 9, 2019: C.H. 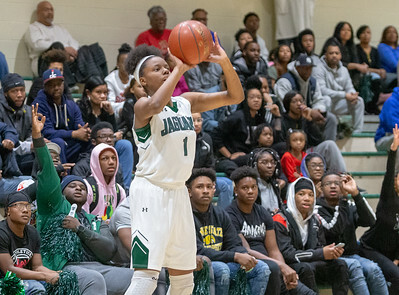 Flowers Jaguars Taniyah Hogg (3) takes a three-pointer during a MPSSAA Girl's 4A Regional Final game between Laurel and C.H. Flowers held at C.H. Flowers High School in Springdale, MD. (Michael R. Smith/The Prince George's Sentinel). Springdale, MD, Saturday, March 9, 2019: C.H. Flowers Jaguars Jasmine Hilton (5) scores on a layup during a MPSSAA Girl's 4A Regional Final game between Laurel and C.H. Flowers held at C.H. Flowers High School in Springdale, MD. (Michael R. Smith/The Prince George's Sentinel). 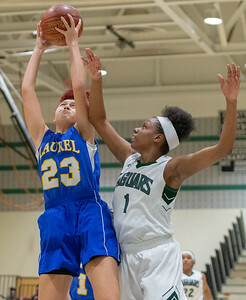 Springdale, MD, Saturday, March 9, 2019: Laurel Spartans Maya Lockett (23) grabs a rebound during a MPSSAA Girl's 4A Regional Final game between Laurel and C.H. Flowers held at C.H. Flowers High School in Springdale, MD. (Michael R. Smith/The Prince George's Sentinel). Springdale, MD, Saturday, March 9, 2019: C.H. 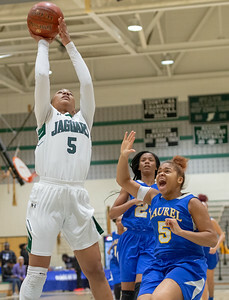 Flowers Jaguars Jasmine Hilton (5) scores a basket during a MPSSAA Girl's 4A Regional Final game between Laurel and C.H. Flowers held at C.H. Flowers High School in Springdale, MD. (Michael R. Smith/The Prince George's Sentinel). Springdale, MD, Saturday, March 9, 2019: C.H. 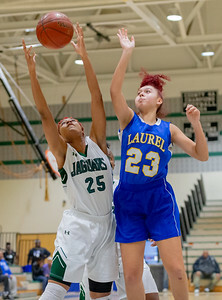 Flowers Jaguars Lashawna Robinson (25) and Laurel Spartans Maya Lockett (23) battle for a rebound during a MPSSAA Girl's 4A Regional Final game between Laurel and C.H. Flowers held at C.H. Flowers High School in Springdale, MD. (Michael R. Smith/The Prince George's Sentinel). Springdale, MD, Saturday, March 9, 2019: C.H. 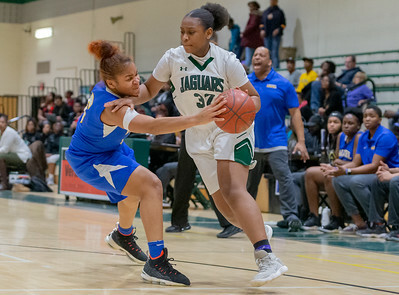 Flowers Jaguars Jasmine Hilton (5) tries to drive around Laurel Spartans Maya Lockett (23) during a MPSSAA Girl's 4A Regional Final game between Laurel and C.H. Flowers held at C.H. Flowers High School in Springdale, MD. (Michael R. Smith/The Prince George's Sentinel). Springdale, MD, Saturday, March 9, 2019: C.H. Flowers Jaguars Carlee Foster (22) puts up a shot during a MPSSAA Girl's 4A Regional Final game between Laurel and C.H. Flowers held at C.H. Flowers High School in Springdale, MD. (Michael R. Smith/The Prince George's Sentinel). 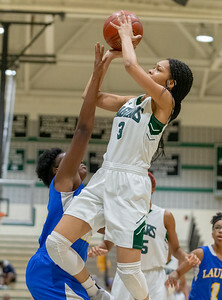 Springdale, MD, Saturday, March 9, 2019: Laurel Spartans Malaika Treadwell (5) tries to defend against C.H. 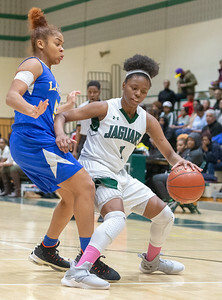 Flowers Jaguars India Young (32) during a MPSSAA Girl's 4A Regional Final game between Laurel and C.H. Flowers held at C.H. Flowers High School in Springdale, MD. (Michael R. Smith/The Prince George's Sentinel). Springdale, MD, Saturday, March 9, 2019: C.H. 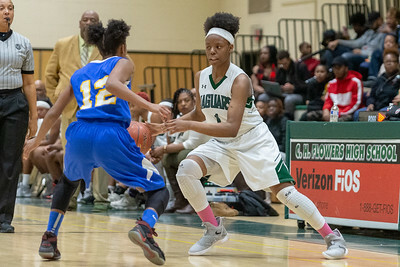 Flowers Jaguars Kaniyah Harris (1) dribbles in the front court during a MPSSAA Girl's 4A Regional Final game between Laurel and C.H. Flowers held at C.H. Flowers High School in Springdale, MD. (Michael R. Smith/The Prince George's Sentinel). Springdale, MD, Saturday, March 9, 2019: C.H. 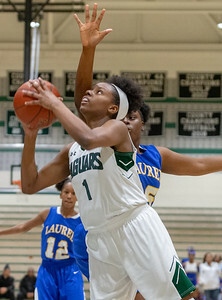 Flowers Jaguars Indira Nzerue (10) drives to the basket during a MPSSAA Girl's 4A Regional Final game between Laurel and C.H. Flowers held at C.H. Flowers High School in Springdale, MD. (Michael R. Smith/The Prince George's Sentinel). Springdale, MD, Saturday, March 9, 2019: C.H. 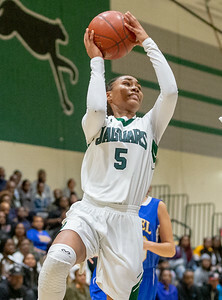 Flowers Jaguars Lashawna Robinson (25) puts up a jump shot during a MPSSAA Girl's 4A Regional Final game between Laurel and C.H. Flowers held at C.H. Flowers High School in Springdale, MD. (Michael R. Smith/The Prince George's Sentinel). 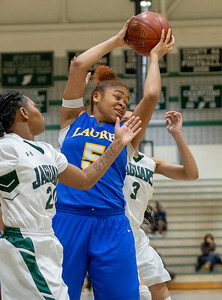 Springdale, MD, Saturday, March 9, 2019: Laurel Spartans Malaika Treadwell (5) grabs a rebound during a MPSSAA Girl's 4A Regional Final game between Laurel and C.H. Flowers held at C.H. Flowers High School in Springdale, MD. (Michael R. Smith/The Prince George's Sentinel). Springdale, MD, Saturday, March 9, 2019: C.H. 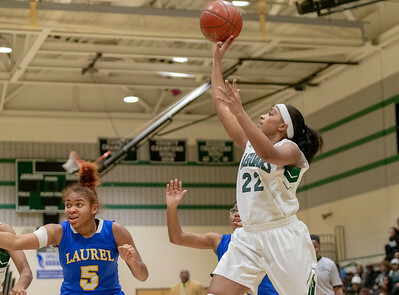 Flowers Jaguars Taniyah Hogg (3) puts up a shot during a MPSSAA Girl's 4A Regional Final game between Laurel and C.H. Flowers held at C.H. Flowers High School in Springdale, MD. (Michael R. Smith/The Prince George's Sentinel). Springdale, MD, Saturday, March 9, 2019: C.H. Flowers Jaguars Jasmine Hilton (5) grabs a rebound during a MPSSAA Girl's 4A Regional Final game between Laurel and C.H. Flowers held at C.H. Flowers High School in Springdale, MD. (Michael R. Smith/The Prince George's Sentinel). Springdale, MD, Saturday, March 9, 2019: C.H. 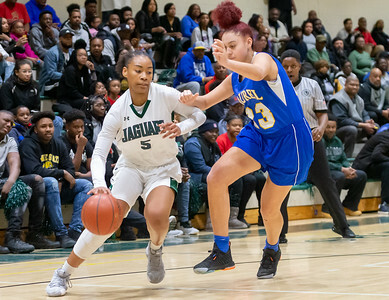 Flowers Jaguars Taniyah Hogg (3) goes to the basket during a MPSSAA Girl's 4A Regional Final game between Laurel and C.H. Flowers held at C.H. Flowers High School in Springdale, MD. (Michael R. Smith/The Prince George's Sentinel).